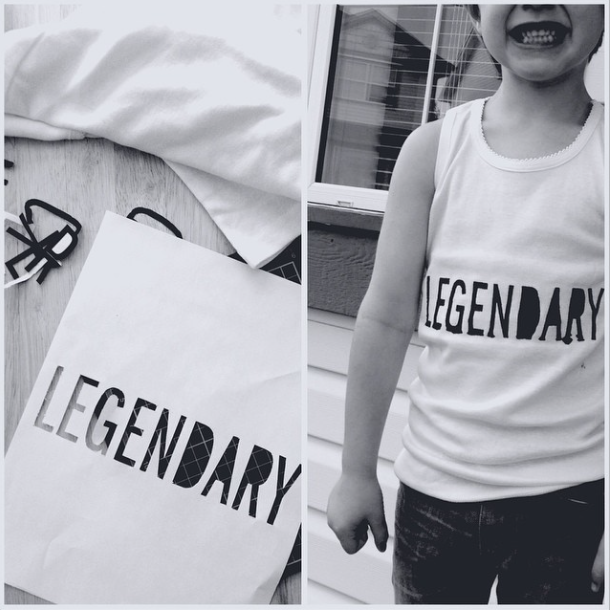 On my DIY hunt to find a way to "screen print" on a tshirt, I came across a ton of DIY blogs that claimed to have the "easiest" or the "best results". I tried about 3 different types. Its not that they didn't work, I just wanted something with a better quality. Some came out smudgy, if tha'ts even a word (don't judge! ), and other stiff. I didn't want to go out and buy a ton of screen printing materials just for one design either. So I finally decided I was going to give it one last try using lacquer thinner. The tutorial I found here said to use paint thinner. I tried that, it DID NOT work! A lot of other commenter's pointed out the same thing. One comment has said lacquer thinner worked, so the second time I made the trip to Home Depot, I grabbed some lacquer thinner. At this point, I just had my fingers crossed. I had tried other ways and they didn't work, so this was kind of my last ditch effort before throwing my hands up and ordering a screen printing kit! Grab your design. Create it in photoshop, or whatever program you have. Remember it will be in black and white! Then you need to reverse the image, so it looks mirrored. Print your design out. You can also grab one of my designs HERE or HERE. They are for personal use ONLY. Please do not redistribute elsewhere or use to products to sell! Once you have it printed out, and this is optional, cut off any success from the edges and use tape to hold it down on your t-shirt. I didn't use tape to hold it down the first time, and it turned out fine, but this helps your fingers so you don't have to hold it so tight! The lacquer thinner has a very strong odor, and is toxic, so I just had the jug beside me and as soon as I dipped the q-tip into the paint thinner I immediately put the lid back on to reduce the fumes! You also need to work quick with lacquer thinner, it dries fast! Then I rubbed the lacquer on the print, only in small patches. At first I tried 3-4 letters at a time, but it was drying to fast and I couldn't rub it quick enough, so stick with small patches. Trust me! And this is what it turned out like! Now I'm told it doesn't wash off. I haven't tested that yet. So when I do, I will update with more photos to test the durability! The other thing I love about this process over the paint or the image transfers you buy, is that it has clean lines and it is not stiff at all. The design is as soft as the t-shirt itself. And if you attempt this, I would LOVE to see how yours turned out! It's been done, probably 100 times over. But I think I may have found one of the most inexpensive and easiest ways to get er' done! It all started when I jumped onto Instagram and notices all these adorable screen printed shirts. I fell in love! But at $20-35 each, x2 (remember, I have twins so its double everything!) It adds up FAST! We are always on a budget. And as much as I would love to just go buy every cute thing I lay my eyes upon and support some wonderful wham's, I cannot justify it! SO, I decided to attempt this whole screen printing thing on my own. I started by creating my design on my computer in photoshop. Then I printed it off. This is where you would need to lay it overtop of your plastic sheeting and use one of those slicing pens (make sure to have that rubber pad on the underside so you don't slice your table!) and slice out the pieces. I used paper, which didn't work so well. I highly suggest using plastic! I took my embroidery hoop, and stretched the leotards/nylons over it and held it into place. I stretched it a bit, but not too much and it didn't shift at all! I am going to attempt this again, REALY soon. I have a ton of shirts that I want done before the boys start kindergarten which is approaching way too fast! Have you ever done any DIY screen printing? Would love to see how it turned out! 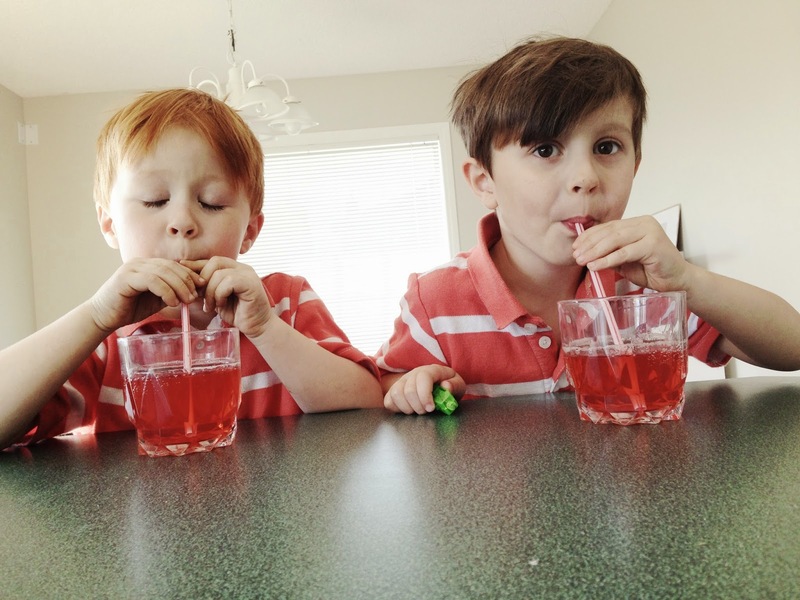 First off, did you know how easy it is to create a homemade slushy in your own home?! And second, did you know that it can be super easy, quick and not a whole heck of a lot of work in the process! (My kind of drink!) I did, only cause I just tried it because I had very little energy to run down to the corner stone and my boys were asking for a cold drink. I am not super mom here! Just a regular joe jane trying to live a happy healthy life! Okay, so to the recipe. 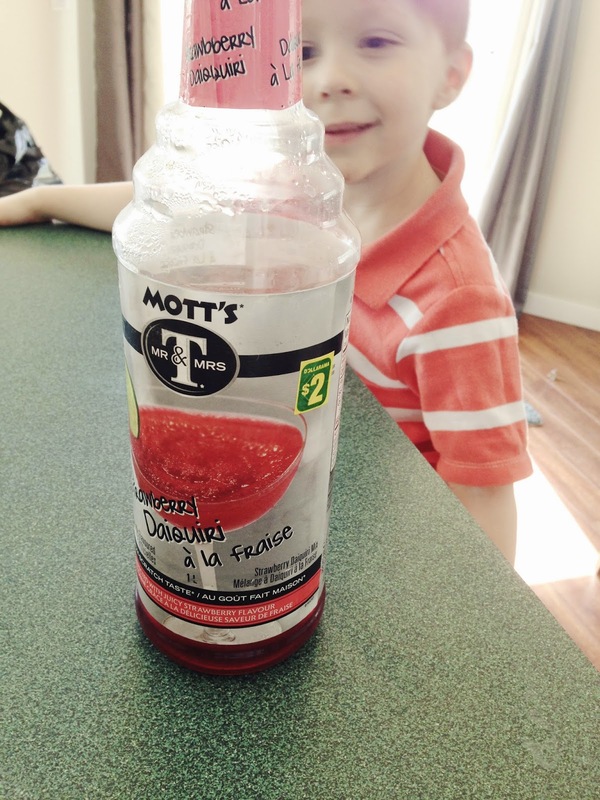 Kid Friendly Strawberry Daiquiri Recipe + FAIL! - Lots and LOTS of ice cubes. I suggest using the WHOLE thing, if not 2 or 3! Add in your motts syrup (bout 1/4 cup if making a whole blender full) and add a bit of water. Hit that blender up and wait till its all slushy! So today mine was a fail. I didn't have enough ice cubes BUT, that didn't mean my boys didn't enjoy it. Probably all that sugar, hehe. I have done this many times successfully and they tell me its better than the corner store!